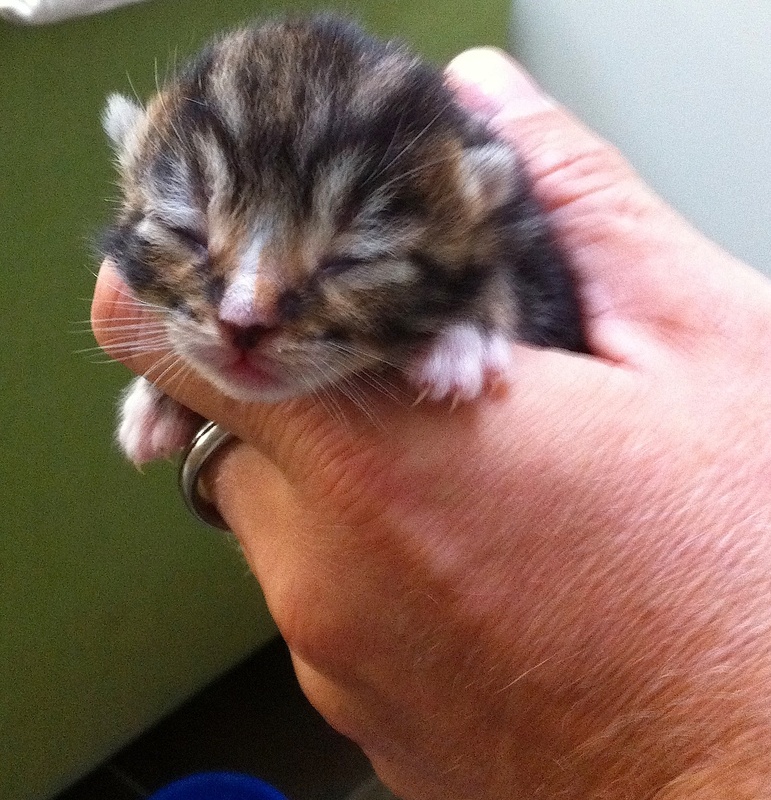 London: When the lady from our local cat charity phoned with “an urgent fostering problem”, I probably should have thought about it for longer than a second. 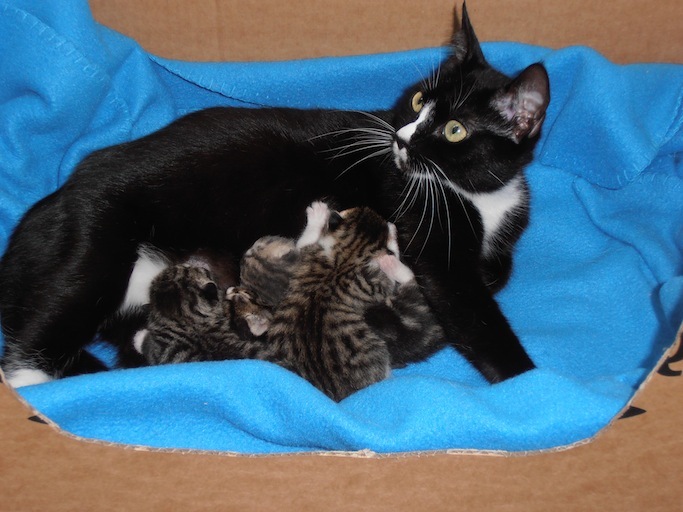 Half an hour later, a cardboard box with a black and white stray and her four slug-like kittens turned up. She's a friendly little thing, still pretty young herself. Nick was a little surprised to find five cats had moved in by the time he got home from work – we are very outnumbered in this household – but he’s been won over by their cuteness. None of them can see yet, because they’re just five days old. But I’m planning big things. In the DK Guide To Cat Care, there’s a chapter called ‘Five tricks you can teach your cat’, which, after the ambitious instructions for teaching your cat to sit and lie down, includes the sentence: “Among other tasks, cats can be taught to beg, eat with their paws, jump through a hoop, play dead, play the piano, wave and speak”! In the next few months, I will buy a small piano and soon have a troop of tuxedo-wearing piano-playing cats who can wave and take public speaking engagements. Or, if they turn out to be less academically inclined, there’s always the military. Aw..totally cute. You have a big heart, I can’t wait to see the Kitty Orchestra. They’re very lazy at the moment. It’s time for their piano practice! 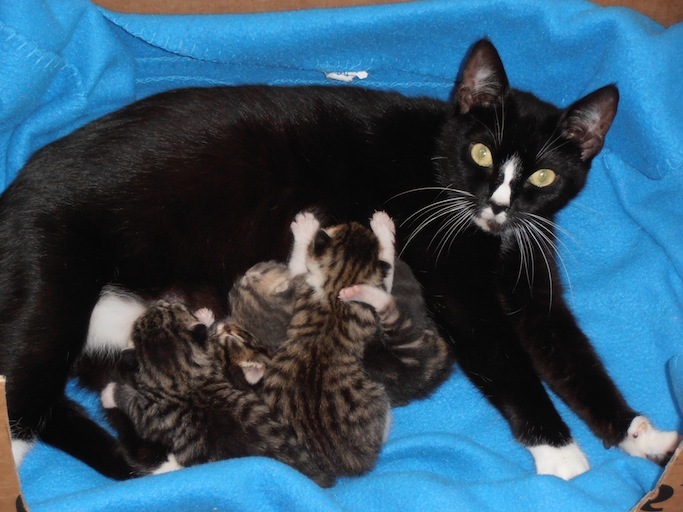 Looks like the mother-cat has craftily equipped herself with a tuxedo already!